George Washington was the 1st American President who served in office from April 30, 1789 to March 4, 1797. One of the key events during his presidency was the formation of the Political Parties in the United States. In 1789 no political parties had been established in the United States. George Washington was elected as an Independent. He was non-partisan (impartial) to any specific political parties. Washington did not support the policies, views or beliefs of a single political party. He was the only president elected as an Independent, as he was not formally affiliated with any Political Parties during his two terms in office. The Formation of the Political Parties started during his presidency - the political factions that emerged were the Federalists and the Anti-Federalists and the Democrat-Republicans. There were no established political parties in the United States in 1789 because all of the leading statesmen and politicians in the new nation were anxious to give the new Constitution a fair trial. They all supported George Washington as an impartial President. The opinions and views of the politicians of the time, relating to the government of the new nation, differed wildly. Many of the wealthy men had roots in the system of monarchy of the British and believed that monarchy was the best form of government. Others had the totally opposite view that the government should be ruled by the people. The pro-monarchists realized that the American people, who had fought for independence from the British, would tolerate the establishment of a monarchy. A compromise was reached in that all of the early politicians supported a government that adhered to the US Constitution. The Secretary of Treasury Alexander Hamilton, John Adams and Gouverneur Morris belonged to the group of men who believed a monarchy to be the best form of government. As this was not possible their aim was to give to the new central government, and the richer classes, the greatest possible amount of power. There was concern that the vast majority of ordinary, less educated people, would have the skills required to run the new government. From this original stance the formation of the political parties had begun with the formation of the Federalist Political party. The Federalists believed in the ideas of nationalism and industrialization. The concept of Federalism is the idea and beliefs of a federal organization of self-governing units, such as a confederation. John Adams was a member of the Federalist political party which favored the administration of President George Washington. The Formation of the Political Parties was inevitable when men such as Secretary of State Thomas Jefferson, James Monroe, James Madison and Albert Gallatin completely disagreed with the views of the Federalists - they were called Anti-Federalists. The Federalists, led by Alexander Hamilton, pushed for a strong central government, while the Anti-federalists who became the Democratic-Republican Party, led by Thomas Jefferson, advocated states’ rights over central power. The Formation of the Democratic-Republican Party originated in 1793, when Thomas Jefferson resigned from the cabinet of President Washington in opposition to Federalist policy decisions, especially the financial policies of Alexander Hamilton. The men who sympathized with the views of Thomas Jefferson called themselves Democratic-Republicans. In the Declaration of Independence, Thomas Jefferson had written that government was based on the consent of the governed. Jefferson also believed that the common sense of the American people was a safer guide to government than the wisdom of the elite, richer classes. The Democratic-Republican political party tended to represent poor farmers, tradesmen, and recent immigrants. Thomas Jefferson established a newspaper and launched a media campaign and determined attack on the Federalist political party, calling them monarchists. 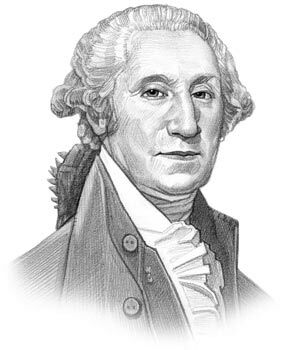 President George Washington, who had Federalist leanings, stressed the necessity of a strong central government. The Federalist political Party represented the industries and manufacturing interests in the Northeast. The Democratic-Republican political party supported powerful state governments over centralized power and represented the rural farms of the South and the expanses of the Western frontier. The Formation of the Political Parties caused various rifts in the government of the new nation. Many of these came to a head with the outbreak of the French Revolution (1789-1799). Thomas Jefferson and other Democratic-Republicans including James Madison and James Monroe sympathized with the supporters of the French revolutionary cause, which championed individual rights against the aristocratic, monarchist government. Alexander Hamilton and other Federalists opposed it. President Washington worked to keep the U.S. out of European conflicts and preserve U.S. neutrality in international relations. Check out the following articles for a list of All US Presidents and their Political Parties and details of the Republican Party Presidents and the Democratic Party Presidents. Formation of the Political Parties: The article on the Formation of the Political Parties provides an overview of the political parties that evolved during the Presidency of George Washington. The following video will give you additional important facts and dates about the political events experienced by the 1st American President whose presidency spanned from April 30, 1789 to March 4, 1797.